Everything on the allotment seems to have been slow starting this year, perhaps because we haven't really had a proper warm spell so far. But finally things are taking off, and that means one thing: I have to make space in the freezer. 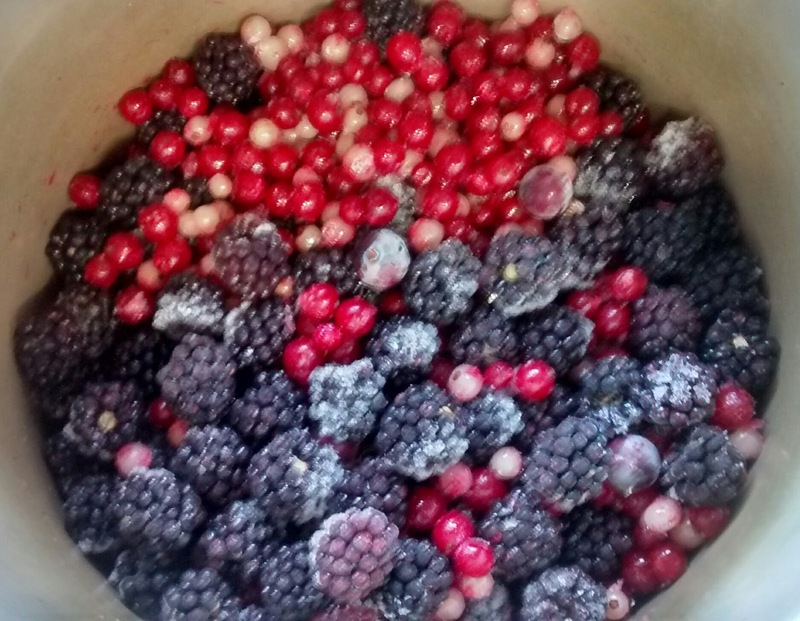 It's a good chance to rummage around in the bottom of the freezer, looking for the leftover fruit from last year. I found approximately 2lbs of currants and 1lbs of blackberries. Enough for a small batch of jelly. 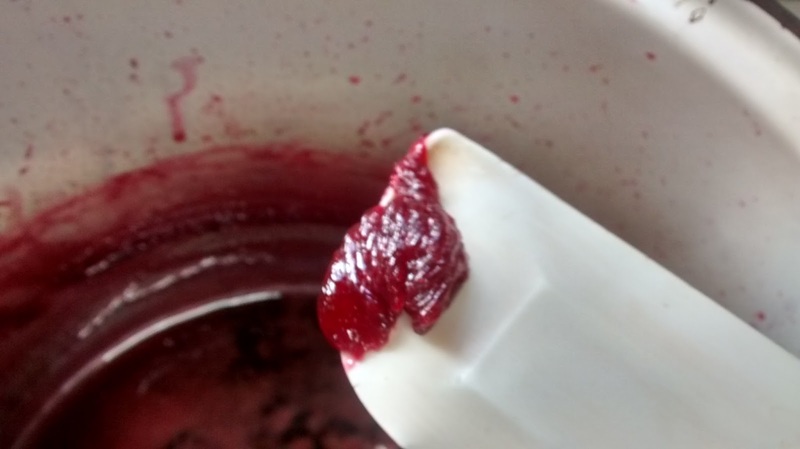 Making jelly is a fairly easy process. Wash the fruit, then just cover with water. 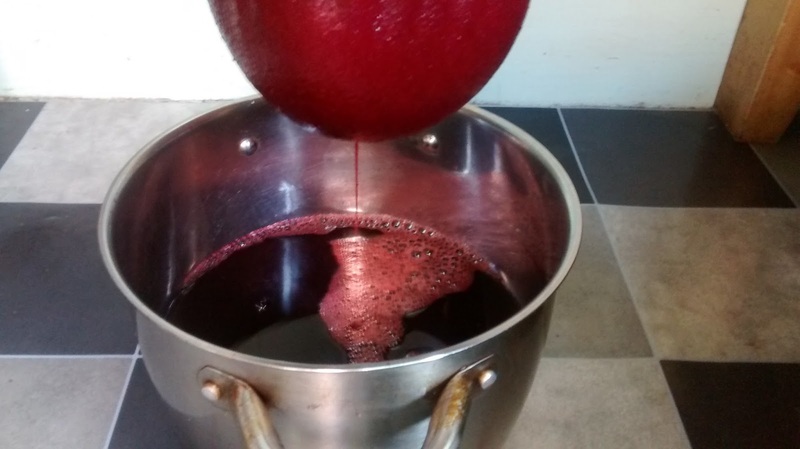 Bring to boil and let simmer until the fruit is soft and pulpy. After letting the fruit cool, pour the mixture into a large muslin cloth and hang up to let the liquid drip out. I like to hang mine from a broom handle laid across the back of a chair and the kitchen table. Let it hang for at least 4 hours, better still over night. Do not squeeze unless you don't mind your jelly being cloudy. Sterilise the jam jars. You can estimate to need twice as many jars as you had pints of liquid. I.e. 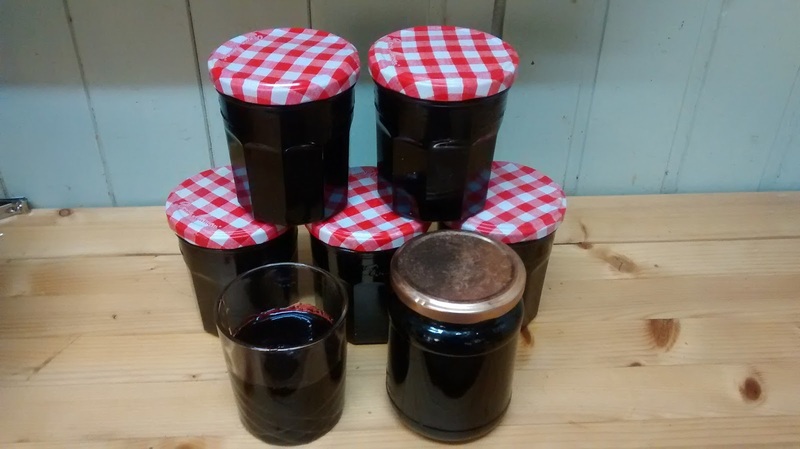 I had 3 pints of liquid and used just over 6 jars. I tend to reuse old lb jam or honey jars with metal lids. I sterilise the jars by washing them well and putting them in the oven on a low heat. I sterilise the jar lids by simmering them in water. But if you prefer you can use waxed discs and cellophane covers instead. Return liquid and sugar to the boil and let boil rapidly, stirring constantly. After 10 or 15 minutes you can start testing if the jelly is ready to set. I use the wrinkle test. Put a small amount of the liquid on a plate and put in the fridge for a few minutes until cold. 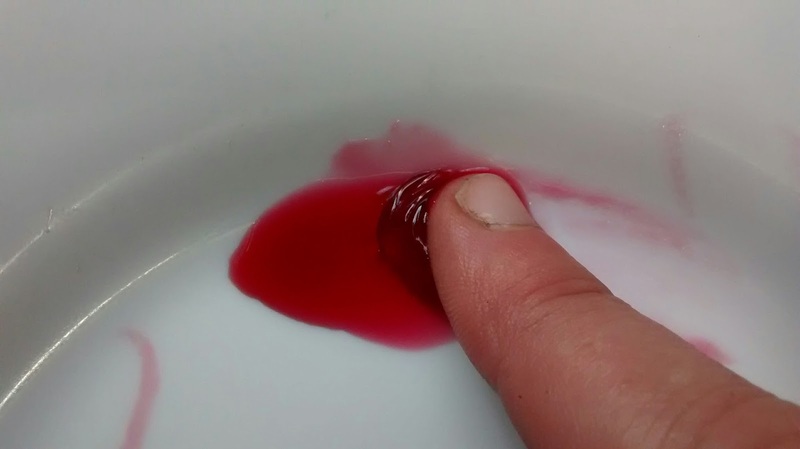 Then gently push it with your fingertip. If it wrinkles up it is ready to set. You can also look for the jelly starting to set along the side of the sauce or the spoon. Carefully pour the hot jelly into the sterilised jars and seal with lids or cellophane covers. The jelly will keep for at least a year in a cool storage place.